Is “Business Casual” an option for you at work? If so, here are some good choices for Business Casual pants. Remember: Business Casual is one step down from Business professional. 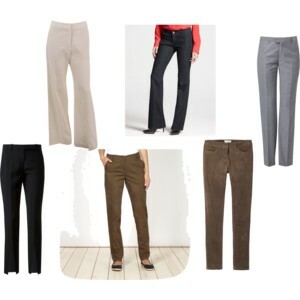 If you’d like to purchase these slacks, click my Polyvore page and find out more. Just let your cursor hover over the individual item and ordering information will appear.